Proper nouns give specific names to Common Nouns. Proper nouns make common nouns easy to distinguish and understand. 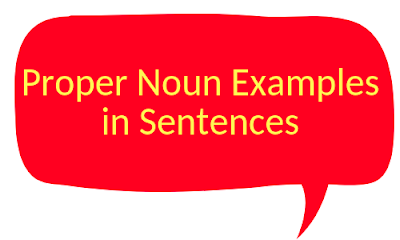 In written English, a proper noun always begins with capital letters no matter where they are used in the sentences. Erica and Adam went to London. Spicy Corner serves the best lobsters. Chetan Bhagat is a successful author. Mathura is a religious Indian city. France is my favourite country. Susan and Harry visited Mrs Geller. Earth is the only planet where life exists. Ode to Autumn personifies the nature. Guava is not liked by kids. Flipkart is the best online shopping website. Google is expanding its business overseas. The Tropic of Cancer, which is also referred to as the Northern Tropic, is the most northerly circle of latitude on Earth at which the Sun can be directly overhead. The State Bank of India is an Indian multinational, public sector banking and financial services company.